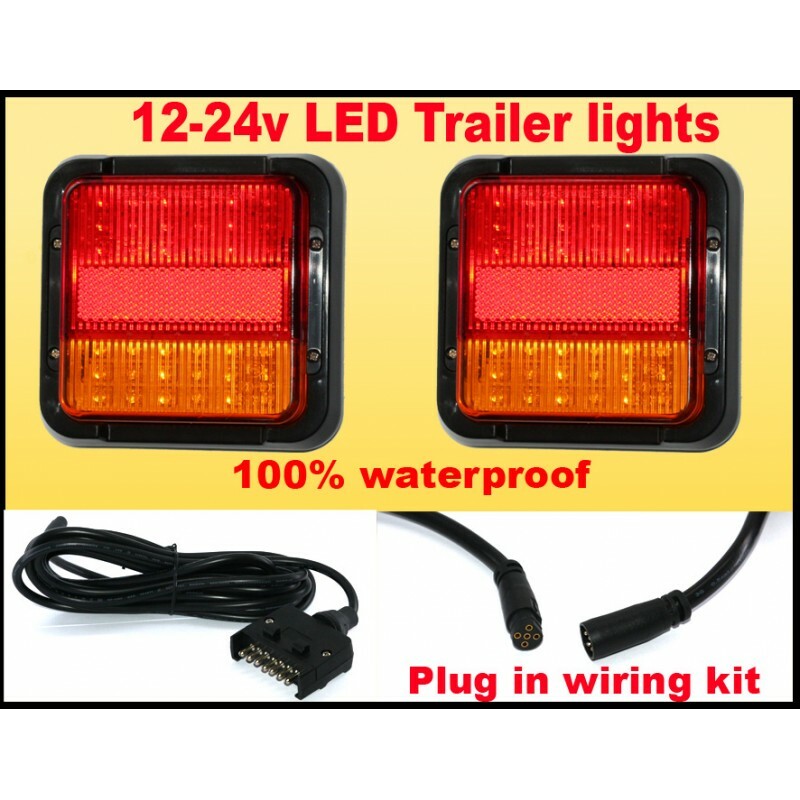 You are buying 2x waterproof led trailer lights with wiring kit. They have a built in number plate light and will work with both 12 and 24v. They come with a wiring kit that is fully plug and play, no soldering or stripping wires, just plug the lights together and then in to the pre-wired trailer plug. Using priahna leds that are about 2x brighter than standard leds. Unscrew the lens from the housing. Bolt the housing to the desired location. Screw the lens back in to the housing. Run the cables and plug them together.